Issues with retention are particularly common among growing organizations, and employee compensation is often the major perceived contributor to high turnover rates. Compensation programs are a vehicle by which an organization communicates to employees its mission, vision, values, and the strategic priorities that must be focused on. Developing a clear strategy for how team members will be compensated for their contributions to your organization’s mission or operations is essential. It lays a concrete groundwork for growth and reflects your organization’s values and vision in a way that’s more tangible than a mission statement. A strong compensation strategy gives your employees insight into why their contributions are valued, not just how much they’re valued. Unfortunately, developing a concrete and scalable compensation strategy is an area that many growing businesses and nonprofits neglect for too long. For those organizations that need a helping hand, compensation consulting services are the answer. Expert third-party guides are usually in the best position to help organizations navigate the tricky topics that impact multiple (or all) areas of their operations. Nonprofit organizations, for instance, rely on a wide range of consultation services, from fundraising to research to marketing, working with experts whose approaches range from general to niche. For-profit businesses rely on their own sets of experts to guide them through complex decisions and processes. Use the list above to navigate between our top picks, or start from the top and browse each entry. 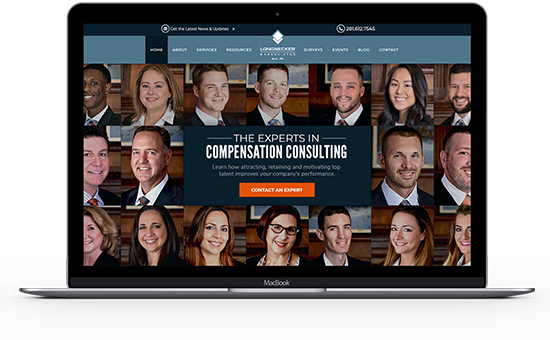 We’ll provide an overview of each firm’s compensation consulting services as well as more information on what makes them stand out in their space. 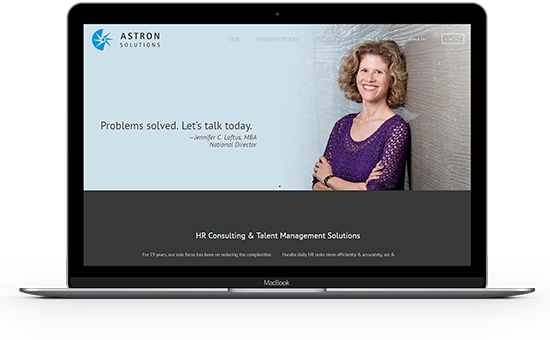 Astron Solutions is a full-service human resources and employee compensation consulting firm that’s been helping businesses and nonprofit organizations for the past 20 years. They believe that simplifying compensation and human resources processes is the best way to keep your organization’s big picture goals in focus. Their fully customized approach has guided a wide range of organizations, helping them boost employee engagement and retention with optimized compensation strategies that address everyone’s priorities. Astron Solutions focuses on the bigger picture of your organization’s goals and understands how a thoughtful, carefully-crafted compensation strategy can actively support them as your operations grow. Few other compensation consulting firms offer as wide a range of services to as wide a range of organizations. In particular, Astron Solutions is a leader in compensation consulting for small to mid-sized businesses and nonprofits; oftentimes compensation consulting services (and their price tags) are targeted towards much larger businesses. Working as a partner for organizations of all shapes and sizes, Astron Solutions develops fully-customized strategies to help lay sustainable foundations for future growth. Contact Astron Solutions to learn more about compensation consulting. Founded in 2009, Compensation Advisory Partners is a leading compensation consulting firm for large and multi-national corporations. They focus on offering independent and expert advice tailored to the needs of complex organizations, with an emphasis on analytics and strong standards of corporate governance. Compensation Advisory Partners works side-by-side with boards and management teams to develop custom strategies that fit within the large-scale internal structures that already exist in large businesses. Compensation Advisory Partners’ focus on providing real-time and data-driven insights is particularly well-suited to the needs of large corporations. They regularly conduct proprietary studies on pay and design best practices, helping them better understand their clients’ spaces and emerging best practices. These insights, coupled with their years of experience in the field, makes them a leader for large-scale businesses and multi-national corporations that need to update their compensation programs. Reach out to Compensation Advisory Partners to discuss your needs. 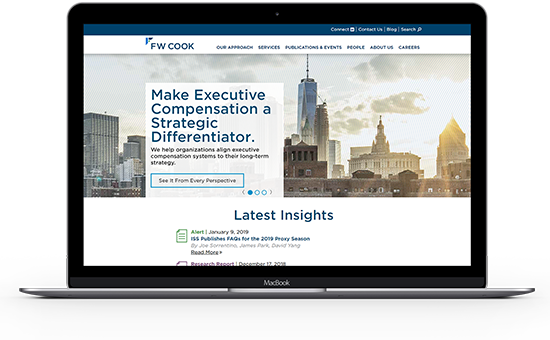 FW Cook is an executive compensation consulting firm that was founded in 1973. Their long history in the space gives them a real advantage when it comes to aligning compensation strategies with a client’s long-term goals. Focused solely on executive compensation, the firm provides expert insights to the compensation committees, boards of directors, and management teams of large businesses. FW Cook takes their role as a legacy leader in the space of executive compensation consulting seriously. They emphasize taking a fully independent and compliant approach while working cooperatively with large organizations to design programs that will address all their big-picture goals. Their guidance has helped countless businesses refine their compensation strategies and adapt to changing economic environments for decades. Contact FW Cook to learn more about their services and approach. 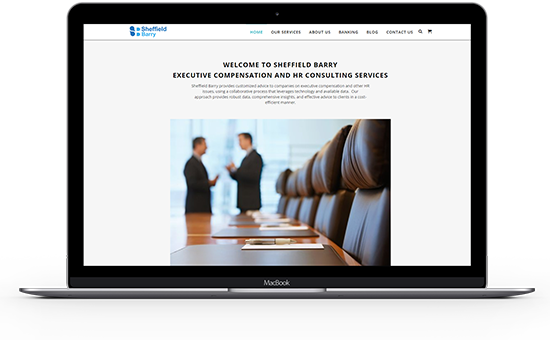 With over 25 years of experience, Sheffield Barry is a top compensation consulting firm for businesses of all sizes looking for streamlined, cost-effective consulting services. Their streamlined approach to executive compensation strategy development focuses heavily on data and collaboration. This gives them an edge of efficiency, allowing them to quickly analyze their clients’ particular issues, match it with up-to-date market insights, and make expert recommendations relatively quickly. Sheffield Barry’s emphasis on data automation lets them spend more time on developing custom strategies and less time manually combing through reports and studies. Their standardized approach relies on some of the most common and useful analyses in the field, cutting through the noise to find the right solution relatively quickly. For mid-sized to larger organizations, Sheffield Barry is a particularly cost-effective and efficient choice for executive compensation consulting. Contact Sheffield Barry to discuss your issues or submit an RFP. With over 20 years of experience in its space, Johnson Associates is a leading compensation consulting firm for large and multi-national financial services firms. Their deep knowledge of the financial sector gives this firm an edge in providing up-to-date recommendations tailored to the specific needs and cultures of their clients. They provide custom-designed compensation programs for a constantly changing industry. 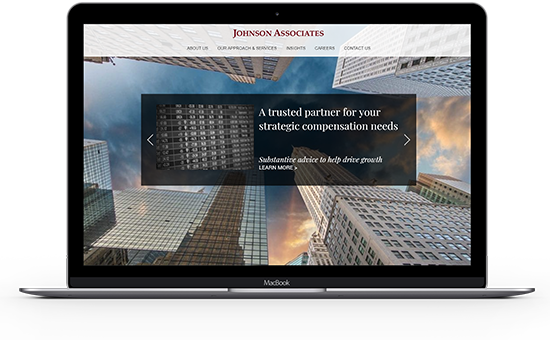 There are plenty of top compensation consultants who provide expert advice and strategy recommendations to large businesses, but Johnson Associates have proven themselves a leader in a particularly fast-paced niche. Their deep institutional knowledge of the financial sector, up-to-date insights into new trends and regulations, and sensitivity to market cycles make them a top choice for firms in this space. Contact Johnson Associates for more information on compensation consulting. Semler Brossy is a leading consulting firm founded in 2001. Although they focus on executive compensation consulting, Semler Brossy offers a number of other business consulting services for larger businesses across a wide range of industries. Semler Brossy’s services are particularly effective for organizations undergoing significant transitional periods, including mergers, acquisitions, IPOs, and executive successions. Their team’s guiding principle is “creating clarity from complexity,” meaning their insights can really shine during your most complicated times. 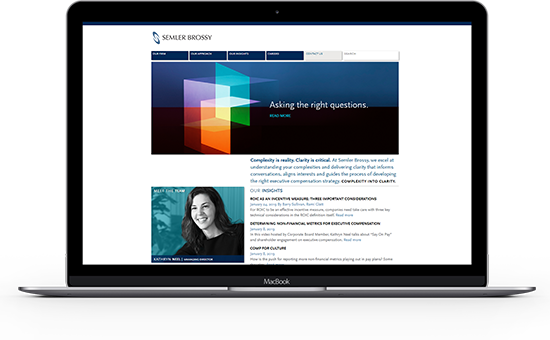 Semler Brossy stands out among the crowded field of executive compensation consulting because their expertise is perfectly suited to help businesses through some of the most difficult periods they experience. Plus, this consulting firm prioritizes building lasting relationships with their clients. With yearly check-ins and regularly-scheduled program assessments, Semler Brossy can support your organization through a complex transition and then actively help you stay prepared for the next one, too. Reach out to Semler Brossy for more information. Founded in 2003, Longnecker & Associates are a leading executive compensation and governance consulting firm for mid-sized to large organizations. Their approach is particularly effective in developing strategies for complex compensation and legal situations for which companies might normally rely on the services of multiple consultants. Longnecker & Associates’ combined experience gives them an edge in handling an especially wide range of issues and projects. Longnecker & Associates stands out for the litigation support offerings for both defendants and plaintiffs. As a compensation consulting firm, their services can be useful to businesses in any stage of development or during any ongoing issue or adjustment. 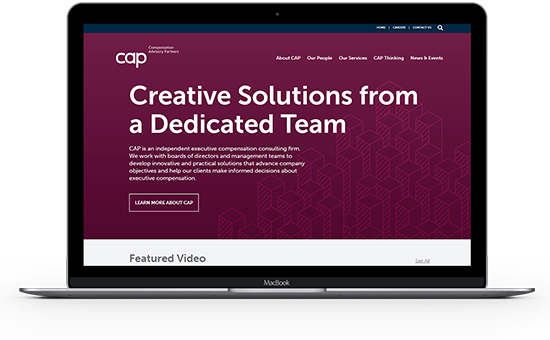 Their experience working in a wide range of industries allows them to take a flexible approach and offer sound insights for clients working in any space. Contact Longnecker & Associates for more information on their services. Compensation strategy is vitally important for businesses and nonprofits of any size or type. Remember, employee compensation programs and practices should ideally reflect an organization’s long-term goals and priorities. While developing an employee compensation program that addresses everything it needs to can be a major challenge, compensation consulting firms are always on hand to guide your team through the process. Look for partners with plenty of experience providing a wide range of services or in your particular space. Most importantly, look for a compensation consultant who understands that your strategy and program must lay a foundation for sustainable growth. Astron Solutions’ Tips to Lower Staff Turnover. Employee retention has declined across the board over the past year, but smarter human resources strategies and compensation programs can turn the tide for your organization. Top 12 Nonprofit Consulting Firms from Double the Donation. Nonprofit organizations have unique needs that consultants specialized in for-profit practices might not understand. Signing Bonuses: A Useful Talent Acquisition Tool in Today’s Labor Market? Signing bonuses are an effective and increasingly common trend in talent acquisition, but they can have their drawbacks, too.